Typically, it takes us weeks to put together posts that highlight short lists of the best icon packs to see a recent release. But something happened since the beginning of the year, as numerous icon designers gave us icon packs that we have been juggling with on the daily because they are so damn good. 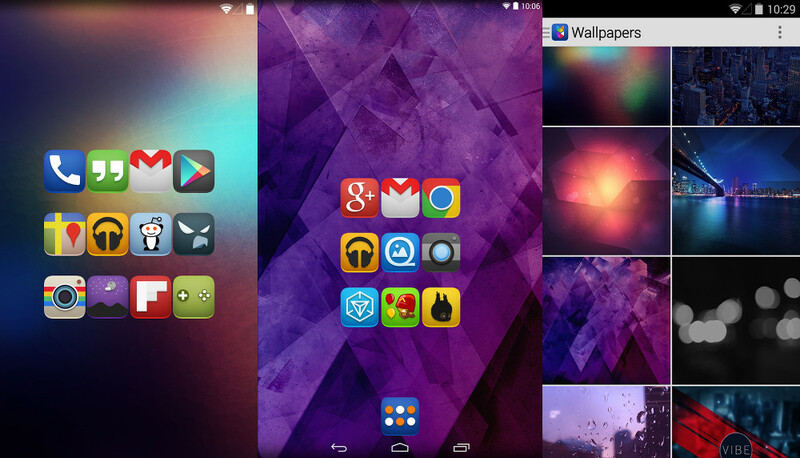 We talked last year about designers stepping things up a notch, however, 2014 is shaping up to be one hell of a year for the icon and wallpaper game if this is the type of work we have to look forward to. We already featured instant classics like Influx, Cryten, and Lumos this year, but if you need something even newer than those, we have five more for you today, none of which feature a long shadow. Let me say that again – no long shadows can be found here. And not that we aren’t fans of the long shadow, but we support change. So, check ’em out, let us know if you find others that are this good. If you were looking for an icon pack with dimension, some incredibly vibrant colors, and a squared-off frame, Vibe is all you. With over 1,350 icons, 10 of the best wallpapers I’ve seen in a while, and weekly updates from the developer, I’d say that this is an icon pack that could last you through a season or two. 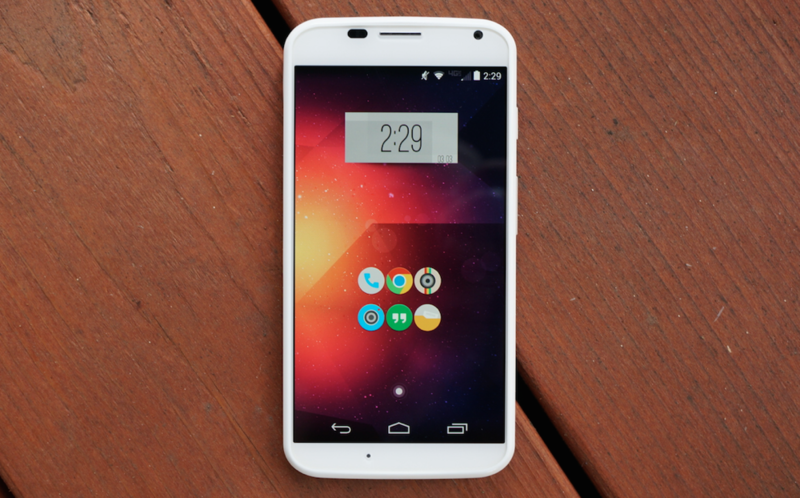 Vibe works with all of the big launchers like Nova, Apex, Action, Next, Go, and more. It also comes with a handy dashboard app for quick applying or wallpaper downloading. I don’t know if it’s the simplicity of Flatee, but it is the current icon pack holding down my home screen. 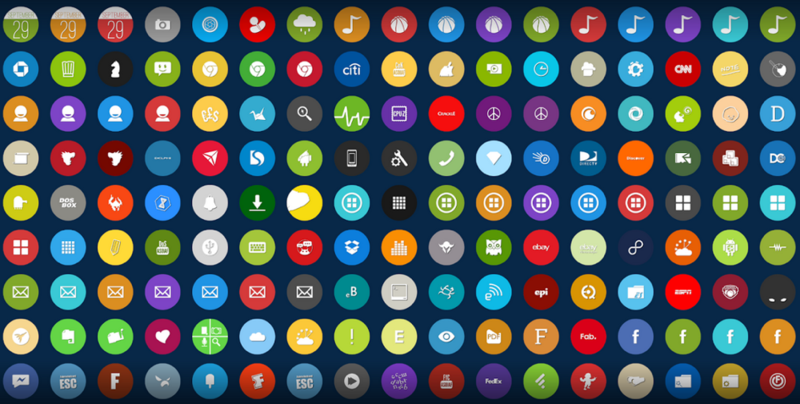 The 800+ icons are round, flat (of course), and somehow modern, yet vibrant in colors and design. There is no long shadow, but you do get a subtle dimensional aspect to the bottom of each icon that gives it a bit of depth. There are 9 wallpapers included with the pack, a simple dashboard app for applying the icons, and support on Nova and Apex launchers. Peek may not have the 1,000+ icons that some of the others on here can lay claim to, but what a great start this little 100 icon pack is off to. 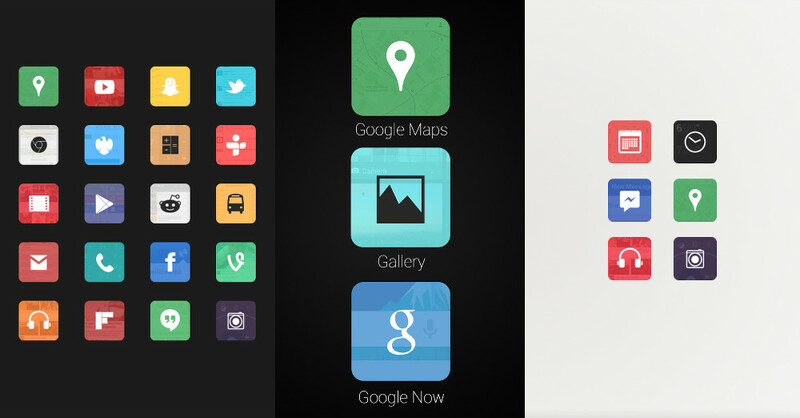 The icons are about as simple as it gets, yet show a light transparency with imagery from each app in the background. You have to look close to see the detail, but once you do, I think you’ll appreciate it. Talk about a cool effect, right? Since it only sits about 100 icons right now, you aren’t going to find every single icon you’ll need. My suggestion would be to give it a shot, and then just sit back and wait for the full thing to be released, assuming that happens. Oh, it’s also free. 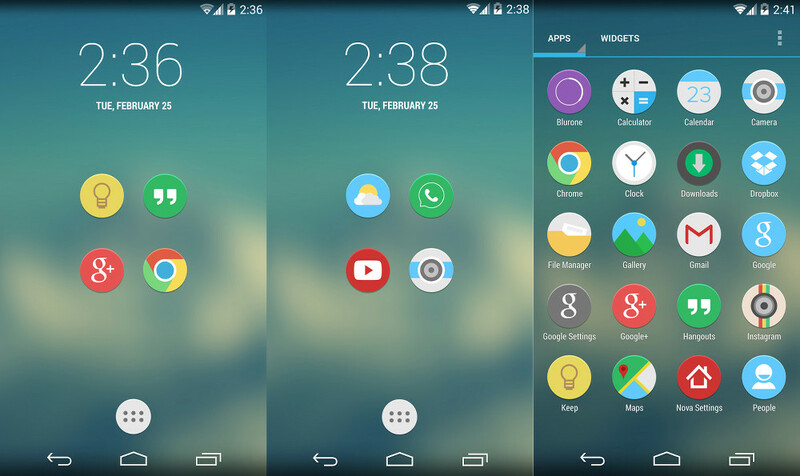 Want an icon pack similar to what we’ll see on the new Galaxy S5? Rounded Up aims to be just that. As a free pack with 800+ rounded icons that are all flat and colorful, you should have no trouble finding icons to replace all of your current set. There are also 150+ alternative icons, to really give you options. 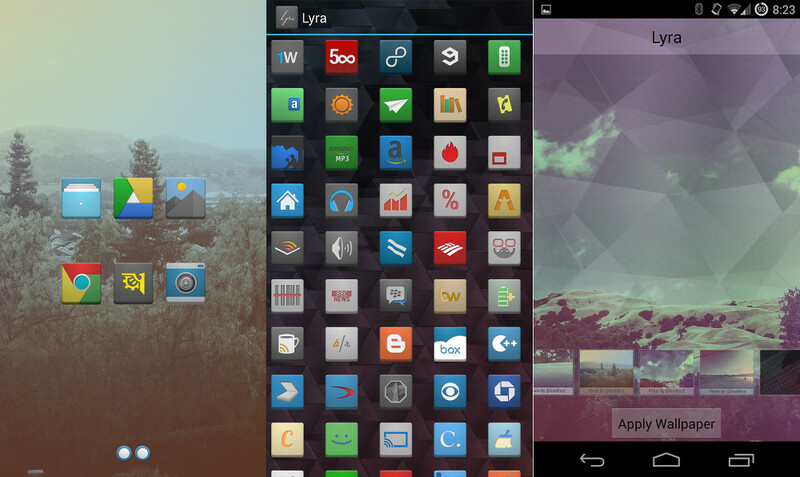 If you want to move as far away from the rounded, shadowed icon trend of the moment, look no further than Lyra. We’re talking “subtle gradient,” elegance, dimension, and a set of 600 icons that are quickly applied to your favorite launcher through a well-made dashboard application. You’ll also find 8 wallpapers made by “noted” Android artists, an icon request tool, and the approval of countless icon designers. I can’t tell you how many have given Lyra the stamp of approval.